Maybe you've never met JHipster. Or maybe you know who he is, but would like to get to know him better. Either way, I think it's time for a formal introduction. This is JHipster, the ultimate open source application generator. He greatly expedites the process of application development by building the front-end and back-end of the app for you, saving up to 6 weeks in the initial development phase! To help you get to know JHipster, our expert technologists at Ippon Technologies USA are working to produce content during the month of May to showcase his capabilities. 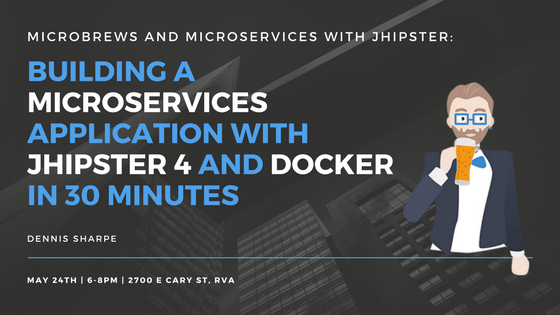 We'll be releasing a new white paper entitled How We Built a CRM System in One Week with JHipster 4, and hosting an event on May 24th called Microbrews and Microservices: Building a Microservices Application with JHipster and Docker in 30 Minutes by JHipster in Chief Dennis Sharpe. Top that off with a healthy dose of blog articles and possibly our first Meetup in NYC, and you've got yourself a JHipster Highlight! If you have any questions or comments along the way about JHipster or Ippon Technologies USA, we'd love to hear from you! Questions and inquiries can be sent to contact@ippon.tech. Marketing Associate who showcases the talent of Ippon's software engineers through Thought Leadership.